On January 26th Engineering Design Center hosted a meeting between Mateusz Morawiecki, Polish Deputy Prime Minister, Minister of Finance and Development and John G. Rice, Vice Chairman of GE. The highlight of the meeting was the official signing of “The Memorandum of Understanding” between the Polish Government and GE which is an agreement on strategic cooperation in the fields of energy and aviation. 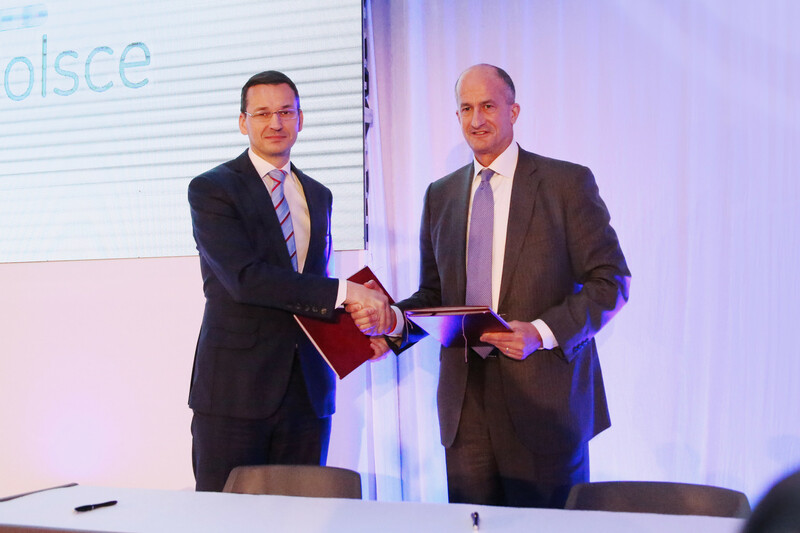 The signing acts as a confirmation of will of both parties to cooperate in development of the national economy, modernize the industry, realize new investments, implement innovative technologies and support the Polish labor market. It also acknowledges GE’s presence in our country. The fact that our center has been chosen as the meeting’s location is a direct sign that EDC’s contribution to the Polish economy and to the growth of the local technological potential is both recognized and appreciated by the Government. On the other hand, it marks the significant role EDC plays within global GE as a key partner not only in technology development, but also in shaping economic relations in the region. Polish engineers working at EDC are the top class specialists, appreciated all over the world. They manage complex projects and develop technologies in various fields such as Aviation, Power Engineering, Power Conversion, Oil & Gas, Transportation and Digital, with Additive Manufacturing as the newest addition to the portfolio. 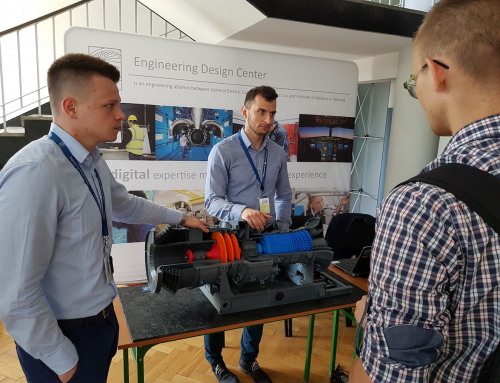 EDC cooperates closely with Polish technical universities to identify talents at early stage of their education and to help the academia connect to the realities and requirements of today’s industrial market. Finally, EDC is a valued employer, engaged in the local community through numerous CSR initiatives. It is worth highlighting that today’s meeting also officially opened the celebrations of 25 years of GE’s presence in Poland. Within a quarter of a century GE has made big investments in Poland, both in infrastructure and in people, becoming a key partner for economic growth of our country.